Dr. Shezad Malik Law Firm is actively investigating potential product liability and personal injury lawsuits from the DePuy Synthes Attune Knee Implant system. Our experienced team can evaluate your case to determine if you may be entitled to compensation for pain, suffering, medical bills, and other losses. Contact us today at (888) 210-9693 for a free case evaluation. Many knee implant patients have suffered serious side effects from DePuy knee implant device and catastrophic knee implant failure after having full knee replacement surgery with the DePuy Synthes Attune Knee System. According to injured patients, their Attune knee replacement devices prematurely fail within only a year or two of surgery, and usually within months of the initial knee surgery. Injuries include DePuy knee replacement tibial baseplate loosening which leads to pain, infection, inflammation, and bone or muscle damage. Many folks are also are reporting a loss of or lack of bonding between the knee component to the tibial bone after Attune failure, often leading to additional surgeries or procedures. Revision or implant replacement surgery is typically more difficult than the initial surgery, especially when bone loss has developed as a result of the implanted knee device. 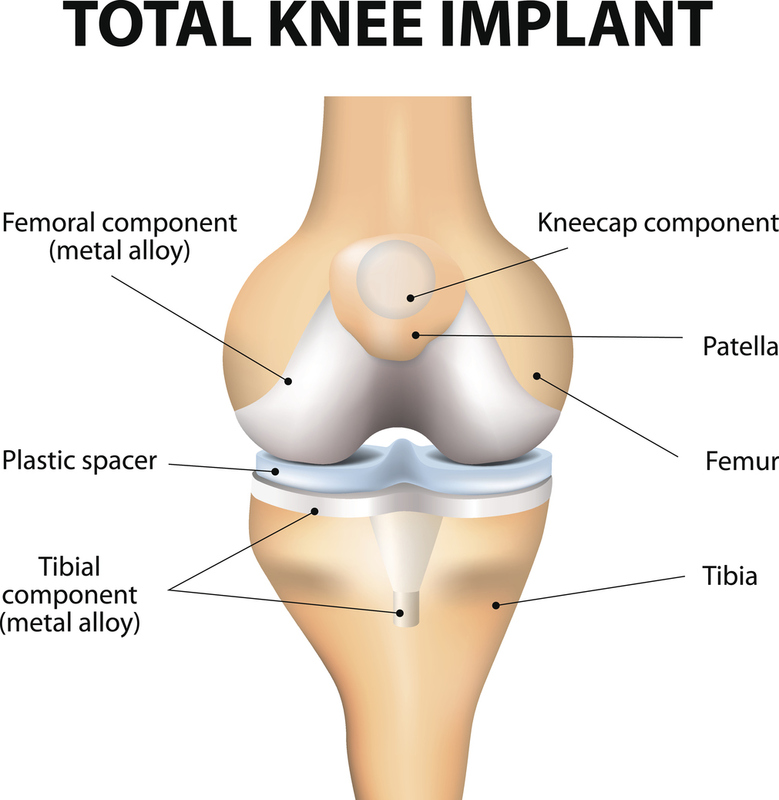 A common cause of knee implant failure occurs when the knee device fails to stick to the bone due to the lack of bonding between the knee bone and the implant. In a recent article in the Journal of Knee Surgery, nine orthopedic surgeons found that they have encountered an unusually high-rate of premature failures of the Attune Knee System. The surgeons attributed the failures to the debonding of the tibial implant-cement interface. The surgeons found that the "glue" used to hold an implant in place does not "stick" adequately to the tibial component of the Attune Knee System. As a result, the tibial component of the Attune Knee System loosens and the entire knee replacement is destabilized. or sideways, this may be a sign of a defective product. Unusual Swelling: When the knee lining becomes inflamed, it causes fluid to build up resulting in swelling of the knee joint. This is an important sign that the knee implant could be failing. Constant Pain: If you notice constant or persistent pain when your knee is in motion, you could be suffering from a failed implant. Recently, DePuy Synthes has filed many adverse reports with the FDA documenting premature failures of the Attune Knee System that have caused premature destabilization of patients' knee replacements and painful revision surgeries. If you or a loved one has suffered any of these DePuy knee implant problems or implant failure following knee replacement surgery from a DePuy Attune Knee System, don’t wait for further DePuy knee implant pain or a device recall before exploring your legal rights. Call us at (888) 210-9693 today, we are investigating and accepting failed DePuy Attune Knee System devices nationwide. If you think you may have DePuy Attune Knee System device and are experiencing pain caused by metal corrosion or have suffered premature knee failure requiring full revision and emergency care, please call Dr. Shezad Malik Law Firm based in Dallas, Texas at 888-210-9693.